2019-04-15 - Adair County, KY - Photo by Alicia Corbin. 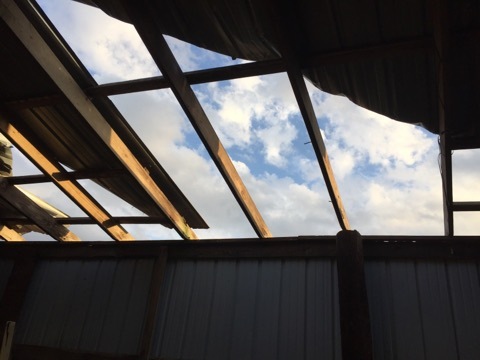 Alisha Corbin shared this photo of barn damage on Bull Run representing damage they received in high March winds. Yesterday, April 14, 2019, brought similar winds and closed one road due to a tree down.